Triple R Horse Rescue is an all-volunteer, non-profit organization that works with neglected and abused horses to care for them, rehabilitate them, and find them permanent homes where they will be loved and cared for. Since its founding in 2009, over 60 horses have come through their program. 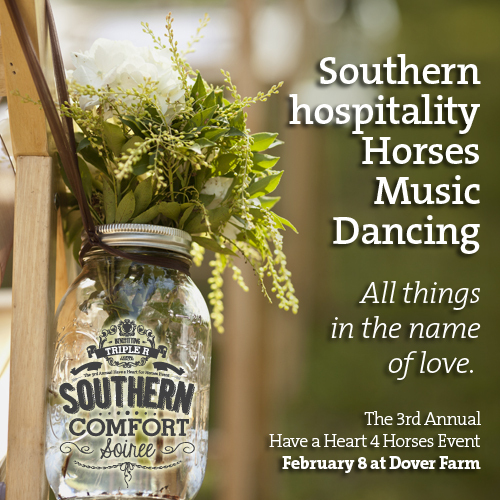 The Triple R Horse Rescue is hosting its Third Annual Have A Heart 4 Horses Fundraiser on February 8th, 2014 at Dover Farm. The theme is “Southern Comfort” and attendees are encouraged to wear their best casual western wear. The Gem Collection has donated these beautiful pieces of Equestrian Jewelry for the silent auction to support the Triple R Horse Rescue. To view these pieces and more Equestrian Jewelry in our online gallery, please visit our Equestrian Jewelry Gallery. For more information on the Triple R Horse Rescue, please visit their website.